We are no longer accepting applications for Regional Hubs in the Making Spaces program. Sign up for our newsletter or check back in Spring/Summer 2018 to learn more about how to become a Hub. A Making Spaces Regional Hub is a school district, library, museum, or community organization that can act as an expert in integrating making into school environments. Each Hub will work with 5-10 regional schools to raise community awareness, funding and capacity. We are not currently accepting applications for Making Spaces Schools. Sign up for our newsletter or check back in Fall 2017 to learn more about how to become a Making Spaces School Partner. 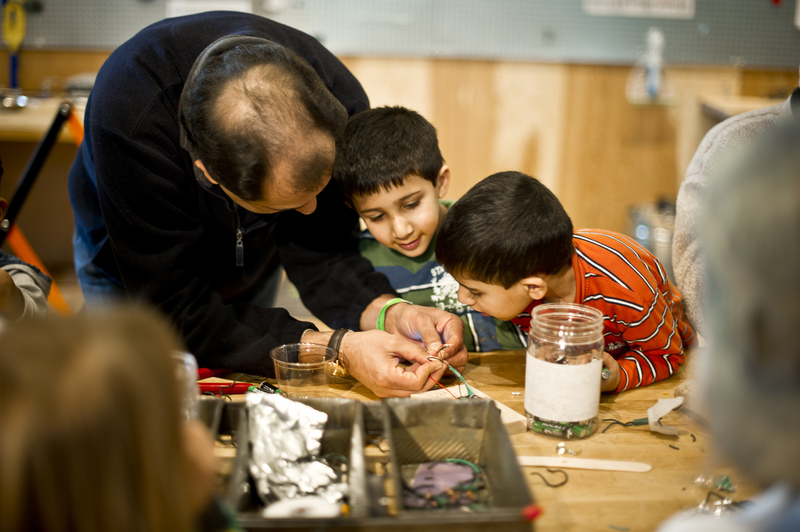 Making Spaces is a partnership between Maker Ed, the Children’s Museum of Pittsburgh and Google.